Derby's waste - a rubbish blog ! : If you dont pay - Derby City Council wont take it away! If you dont pay - Derby City Council wont take it away! In the past the residents of Derby UK as part of their council tax payment got a free garden waste collection service allowing them to dispose of garden and food waste all year. Sent to an in-vessel composting plant (IVC) at Vital Earth in Ashbourne, Derbyshire garden and food waste was then processed in a controlled manner to produce compost and soil improver products. Sadly in an attempt to save money - which the council maintains it has done the council removed the free service in late 2013 and replaced it with a garden waste only April - November service from 2014 onwards. To date the material continued to be sent to Vital Earth at Ashbourne but the impact on the cities recycling rate has been devastating leading to a drop to just 32.9% for the year 2014/15 from a high of 48% in 2010/11. The killer part of this is the service is no longer free costing £40 per service year with any further bins costing £20 for collection. The council expected to gain 20,000 customers by 2015 for the service but only gained 12,083 customers. But wouldn't it be better to take control of your own garden and food waste and to turn it into a free usable compost and soil improver to use at home in your garden? why spend £40 a year on a garden waste collection that does not last all year and does not accept food waste when you could spend that money on a compost bin or even just on materials to make your own compost bin that fits into your own garden. 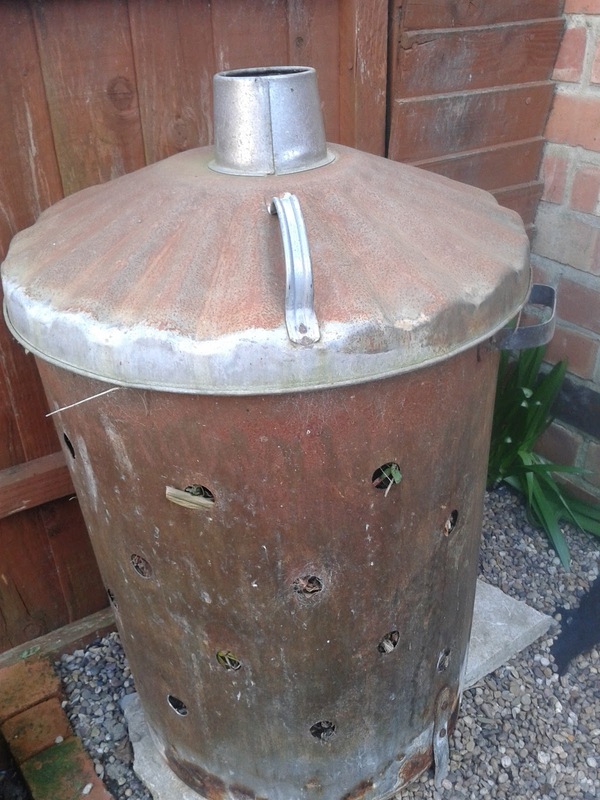 in my case I use an old garden incinerator which holds a reasonable volume of garden waste for a small garden and has air holes to allow your composting process to breathe! Holes in the container are open to debate but personally I like to have a few - plus in this case I was reusing a 2nd hand container. 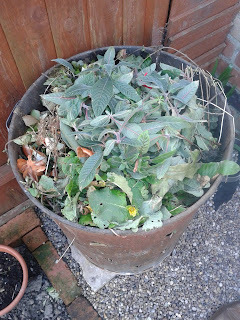 When composting it is important to allow the heap to breathe by keeping the mix open to some degree. 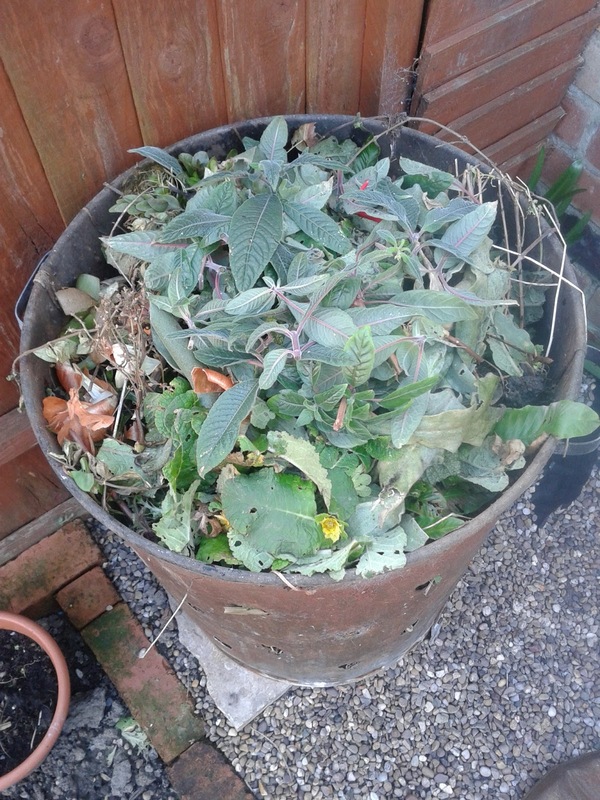 Don't just fill your heap with grass clippings and other squishy green material, try and make a blend of greenery from your house and garden mixed with some drier woodier materials - which can include paper and card, tissue, shredded paper etc which may in themselves not be ideal for recycling if they are shredded or contain some food contamination for example. As part of a mix they can play a key role in making your compost a success. Be careful when composting certain materials such as weeds and veg peelings because unlike an in-vessel composting plant which reaches high temperatures ideal for killing off perennial weed roots, seeds and things such as potato peelings which try and sprout a home composter may not reach the required temperature to kill off these more aggressive items. 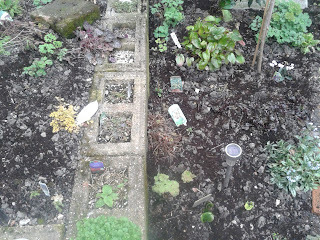 You don't want to spread your new compost on the garden only to find every weed seed germinates so try not to put large perennial weed routes in the compost bin or seed heads containing viable seeds. Another important thing to remember is the mix often needs some water to give all the beneficial bacteria the right damp environment to start munching all that garden waste. For larger gardens you may well need more than one compost bin as the composting process can be a long job and you don't want to find your full up half way through the year! 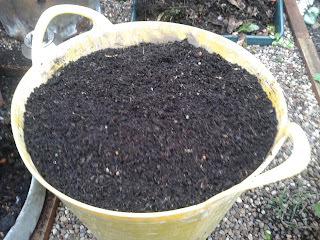 So when is the compost ready you may ask - and thats a good question! A general rule of thumb is when the material is crumbly and black and you can no longer identify what it was before composting then its usually ready to use. Don't be surprised if the mix still contains some degree of twiggy material as this is not a problem if you are using the compost as a soil improver where it is dug in to improve soil structure and increase nutrient levels. One thing to note is the term compost! compost can mean more than one thing and leads to confusion and errors when growing plants. You basically have compost you purchase from a shop which will be a blend of suitable materials and fertilisers and is suitable to use on a range of plants. Then you have compost from your compost heap which might better be described as soil conditioner or soil improver because its main use is as the name suggests is to improve the gardens soil structure while adding nutrients - it can be dug in or used as a mulch around plants and the best bit being its FREE! Now you COULD also make use of it as a compost for potting but that is when greater care is needed as often the compost from your heap is to rich to be used on its own and it is common practice to blend it with other materials such as loam and leaf mould so as to make a more stable useable material. You basically have to experiment a bit if you want to use it for such uses. What you can do with your newly produced compost is to run it through a garden sieve to grade out all the bigger material - returning it to further compost leaving you with a rich fine mixture which if kept out of the rain can be used when ever you want to plant in your garden. The compost can then be applied to your garden to aid drainage, hold water in dry weather and provide nutrients and beneficial bacteria to aid plant growth.